Applicants seeking Panama visa for the purpose of Business or Tourism must apply from Consulate General of Panama, Mumbai. Prior appointment needs to be taken to submit the documents at the Consulate. Embassy of Panama, Delhi will no longer accept the visa applications. Irrespective of any nationality, if the applicant is holding a valid and at least once travelled multiple entries visa for any of the following countries i.e. 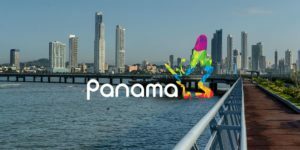 USA, UK, CANADA, AUSTRALIA and SCHENGEN (EUROPEAN NATION) with minimum 1-year validity when entering in Panama, the applicant is entitled to take an “on arrival visa” at the Panama airport. Please note the visa should not be a transit visa. Where the applicant is not holding any visas as per the 1st point mentioned above, the applicant can apply for his visa through a lawyer in Panama. If the applicant is not holding any visas as per the 1st point mentioned above, the applicant has to apply for his/ her visa at the Embassy/Consulate of Panama, in their respective country with all the supporting documents.